Sea Forever is an up-market beach house. 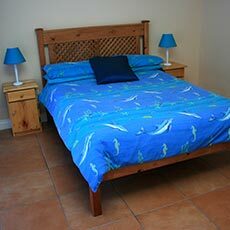 It is the closest of all our accommodation to the beach and has endless sea views. 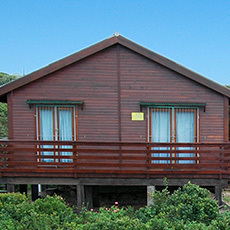 Like all our chalets, it is very private and secluded surrounded by natural seaside vegetation and Milkwood trees. 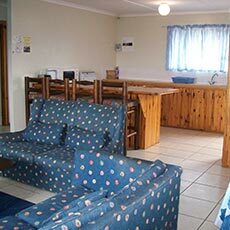 This cottage consists of open plan living areas, modern kitchen, main bedroom with full bathroom (spa bath, shower, basin and toilet) and two other bedrooms which share a bathroom (shower, basin and toilet). 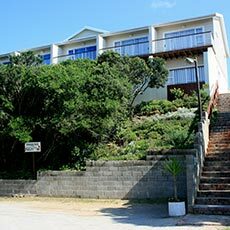 Paradise View is an up-market beach house situated close to the beach with gorgeous views of the sea and natural dune forest. 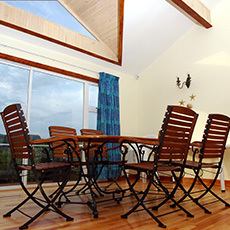 This cottage has a main bedroom with spa bath, two guest bedrooms sharing one bathroom, an open plan living and kitchen area and a wrap-around deck for optimum views, ideal for those perfect sundowner evenings. 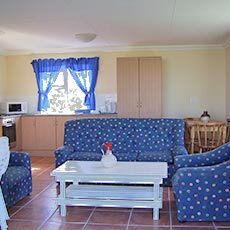 The ideal setting and surrounds of this beautiful cottage makes it the perfect paradise for all holiday makers. 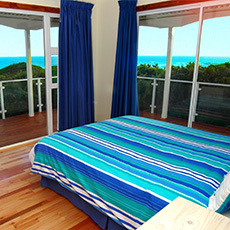 Dolphin’s View is our newest up-market beach cottage. 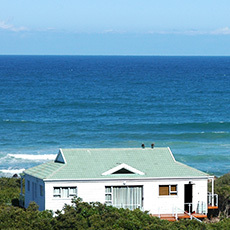 The views of the sea and surrounding area are absolutely spectacular from this cottage. 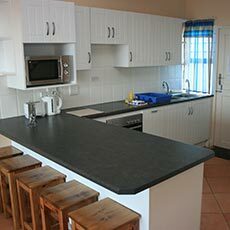 It consists of a large open plan living area, modern kitchen, main bedroom with full bathroom and two addtional bedrooms sharing a bathroom (shower, basin and toilet). 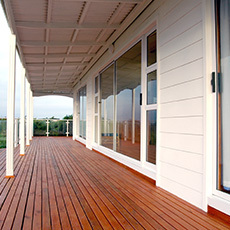 The deck runs along the front of the cottage, which makes it a lovely place for a quiet afternoon. 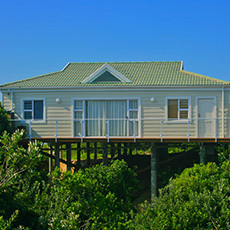 Monkey Hut is an elevated wooden chalet with spectacular views of the surrounding coastline. 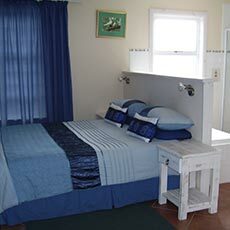 The cottage consists of three bedrooms, one bathroom en-suite and one additional bathroom with a shower and toilet. 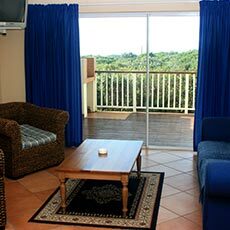 The spacious lounge and open plan kitchen lead onto a large wooden balcony where the natural surroundings can be appreciated in comfort. 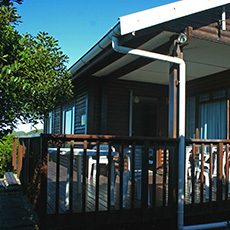 One of two adjacent elevated wooden chalets which share a common lawn and braai (barbeque) area. 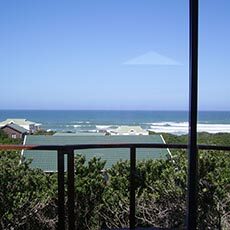 The chalets are nestled amongst indigenous dune bush and comprise two bedrooms, one bathroom and an open plan lounge and kitchen area. 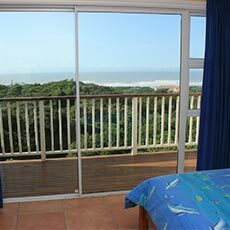 Both the main bedroom and lounge lead onto a wooden balcony with beautiful views of the sea and surrounding coastline. 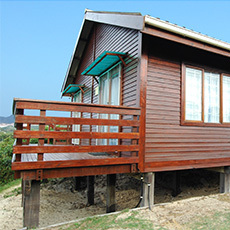 Crab Cottage is situated closest to the sea and is nestled amongst the indigenous trees. 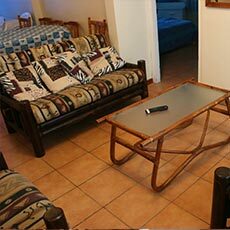 It is a beach cottage which comprises three bedrooms, one bathroom (bath only), a kitchen, and lounge area which leads onto a paved patio with a braai (barbeque) area. 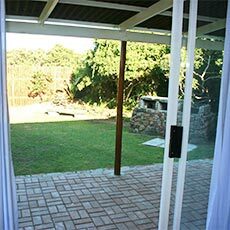 An adjacent shaded area under Milkwood trees provides privacy and coolness during summer. 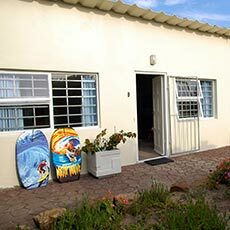 Sand Castle is a newly renovated beach cottage set amongst unspoilt indigenous trees and bushes with a huge variety of animal and bird life. 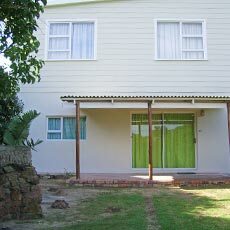 It is a double storey cottage, with sea views, and has 3 bedrooms and 2 bathrooms (showers only). 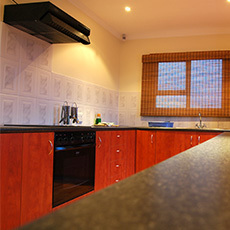 A kitchen and dining area downstairs and lounge upstairs. 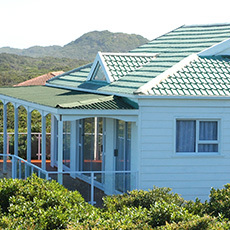 Sand Castle has a spacious front lawn and braai (barbeque) area. 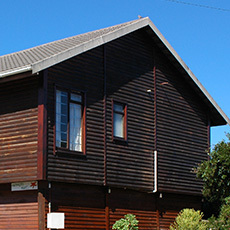 Mermaid’s Cottage is part brick and part wooden. It is a double storey cottage and is attached to Sand Castle. Downstairs is the older part of the cottage, while upstairs is the newly added, painted, wooden section. 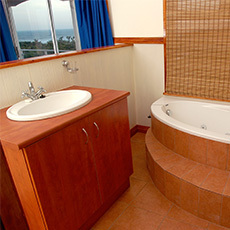 It has 2 bedrooms and the bathroom downstairs, and the open plan living and kitchen area upstairs. 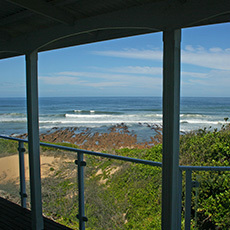 There are stunning sea views from the lounge and deck areas, and a braai (barbeque) area next to the cottage. ‘High-Five’ consists of 5 semi-detached units. 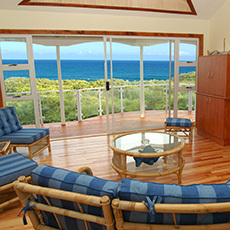 They are all elevated units boasting stunning sea views. Downstairs consists of open plan living areas, modern kitchen and guest loo. 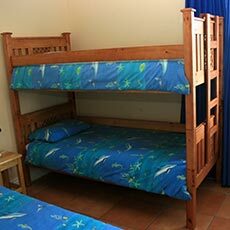 Upstairs has a main bedroom with outside deck overlooking the sea, one bathroom (shower, basin and toilet) and a second bedroom with a double bunk bed and a single bed.